A piece of art to enjoy is certainly a driving factor when making a purchase but what about art as an investment? With the art market showing signs of resiliency, art is a unique alternative investment option. In fact, some investors rank art second only to real estate as the best investment. Collectors have created a hefty supply and demand system as the years have gone by, but the question remains: How can you find a piece that will appreciate in value? Dr. Carol Damian is the dynamic Director & Chief Curator of the Patricia & Phillip Frost Art Museum at Florida International University, positions she assumed in 2008. She is a graduate of Wheaton College in Norton, Massachusetts, and received her MA in Pre-Columbian Art History and her Ph.D in Latin American History from the University of Miami. A professor and former chairperson of FIU’s College of Art and Art History, she is also a prominent figure in Miami’s arts community and a nationally recognized art historian. She is known as an energetic instructor, who combines a passion for art with strong leadership skills. Damian is the author of The Virgin of the Andes: Art and Ritual in Colonial Cuzco (Grassfield Press, 1995), and a contributing author to major books on Manuel Carbonell, Cundo Bermúdez and Enrique Martínez Celaya, among others. She is also a Miami correspondent for Art Nexus and Arte al Dia magazines. She lectures frequently, and has served as curator of numerous exhibitions. Julia Draganović (Ph.D.) is a curator for contemporary art whose interest is focused on new artistic strategies including art in public spaces, socially engaged practices and new media. She has curated shows in Germany, Italy, Spain, the USA and Taiwan, including the curatorial projects of Bologna Art First 2010 – 2012 and at Art Miami since 2009. Draganović is member of the committees of the Outdoor Gallery in Gdansk (Poland), board member of No Longer Empty, New York and member of the Scientific Committee of Mudam, Luxembourg. As founding member of the curatorial collective and platform for contemporary art LaRete Art Projects she is in charge of the International Award for Participatory Art launched by the Legislative Assembly of the Italian Region Emilia-Romagna. 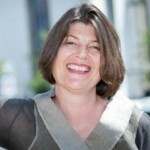 Institutional positions covered by Julia Draganović include Artistic Director of the Chelsea Art Museum New York (2005-2006) and of PAN Palazzo delle Arti Napoli (2007-2009). Since 2013 Julia Draganovic is the director of Kunsthalle Osnabruck, Germany. 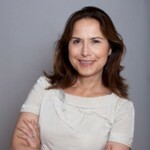 Vivian Pfeiffer is Private Sales Director – Americas. In this role, Ms. Pfeiffer is responsible for driving sales activity across categories for Christie’s Private Sales channel in the Americas region.Ms. Pfeiffer began her Christie’s career in 1990 and was instrumental in building the company’s success in Latin American Paintings. Most recently, she was SVP and Managing Director for Christie’s North and South American Regional offices, as well as International Senior Contemporary Art Specialist. During her early tenure as Regional Director in the Latin American Paintings Department, she contributed to the success of the growing collecting field and was instrumental in the sale of many major works. In 1993, she organized the first Latin American Paintings benefit sale in New York City to raise funds for AIDS research. In 1997, she curated an exhibition on Cuban Modern Master Amelia Pelaez at the Lowe Art Museum at the University of Miami. Ms. Pfeiffer has done extensive research of Latin American Masters and has contributed to several publications, including Museum exhibition catalogues. 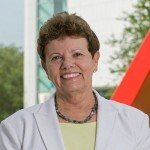 Ms. Pfeiffer is an active participant in several art institutions, currently an Honorary Trustee of the Museum of Contemporary Art in North Miami; also a member of the International Council of the Museum of Latin American Art in Long Beach, California; and a member of the board of Locusts Projects, a non-for profit Miami that provides opportunities for artists. Ms. Pfeiffer holds a B.S., B.A. and an M.B.A. from the University of Hartford. Born in Buenos Aires, Ms. Pfeiffer now lives in Coral Gables, Florida, with her husband and two children. The innovative courses at Christie’s Education provide a rich learning environment, where handling works of art, discussion and research are fully integrated into the curriculum….